This year the dressage is being hosted by Cottesmore Branch of the Pony Club and the following test are to be used. Teams of 4 best 3 scores to count. If you would like to do the dressage training or interested in being considered for a team the please contact Louisa to register your interest. Details below for Louisa. Please contact Dressage Manager Louisa Lissiak – louisalissiak@btinternet.com – 01724 872522 or 07821 899422 if you are interested in being part of a team. This year’s Area Dressage was held at Kirby Bellars seeing 270 competitors throughout the day. The SDBPC entered 17 competitors right across all levels. It was a very long day for everyone, but was thoroughly enjoyed by all. We had two grassroots teams. The Russian Reds were Halle, Lucy, poppy and Sophie. This team was placed 21st out of 28. The Smurf Blues were Maisie, Megan and Alice. 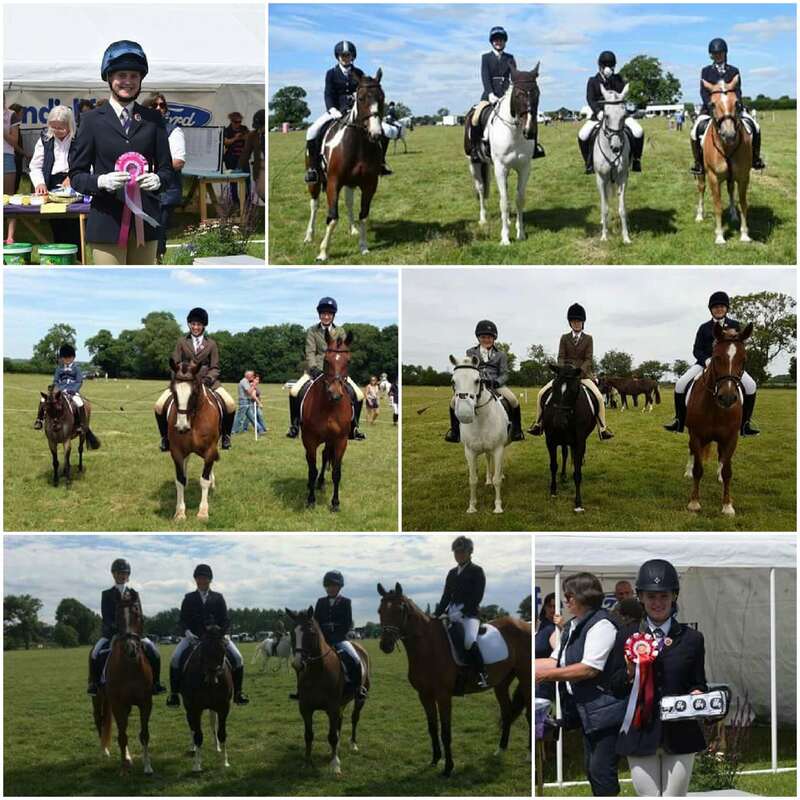 This team were unplaced but all riders rode extremely well attaining great scores. Some of these riders are very young and for others it was their first time. As a surprise for these riders I purchased gold coloured dressage medals on ribbons and had each engraved on the back. These were rewarded at a small get together by myself and Tracy as a recognition of their achievement. I also gave Halle a packet of sparkly horse stickers for her to hand out to everyone. She had great fun sticking them everywhere and on everyone…… I even saw one of them being worn by a member from another club!!! We had a Novice team comprising of Lara, Evie and Charlotte. Also, Neve as an individual. This team were placed 11th overall, with Evie coming 2nd and charlotte 5th. We had an Intermediate team comprising of Lucy who was placed 11th, Jess who placed 2nd, Frankie came 8th and Georgia came 8th. With an overall team placing of 7th. Jess has also now been offered a place at the championships! Katie rode as an Open individual and placed 5th and qualified for the championships later this year. She was in a combined team which was placed 3rd. We are all very proud of the achievements and turnout of all the riders and horses on the day. We could see that a lot of time and effort had been put in. Teams of 4 best 3 scores to count, winning teams qualify for the National Pony Club Championships in August. Individuals to 3 rd place ( depending on entries) in each area qualify for the Championships as well. Please read the rule book which is on the main Pony Club website for more information. Well done to Lucy Benson for coming 5th in the Dengie final in the intermediate section. Who should we contact to register our interest in training or teams? To register for a place on a training session you need to contact Tracey Rivett on 07887517645 who will give you a date and time to attend for training. Each training session lasts approximately 30 minutes, You will be taught in a small group or on occasions on a one to one. Please note; Tracey will do her best to accommodate all riders in the training sessions but there may be times when your name will have to be added to a waiting list. The price is correct at the time of writing but is subject to change as it is a subsidised rate from the pony club committee. Throughout the season the club have dedicated dressage rallies as well as mixed rallies which contain both flatwork and jumping. Everybody is most welcome to attend but must book a place with the rally co-ordinator at least two weeks before the rally date. All riders will need to wear white or cream jodhpurs/breeches and a pony club sweatshirt/polo shirt or alternatively a white shirt with pony club tie. Riders and mounts will need full competition wear for turnout rallies; shirt, tie, jackets and gloves for the riders and a fully clean and plaited pony/horse (unless a native breed). This is a fantastic way in which to experience dressage and have fun as well as meet new riders who have a similar interest. To be considered for a team you will have to have joined our club before 31st Jan and to have attended 3 working rallies or 2 training rallies and a working rally. Once you have attended your two training sessions you will be eligible for team selection. 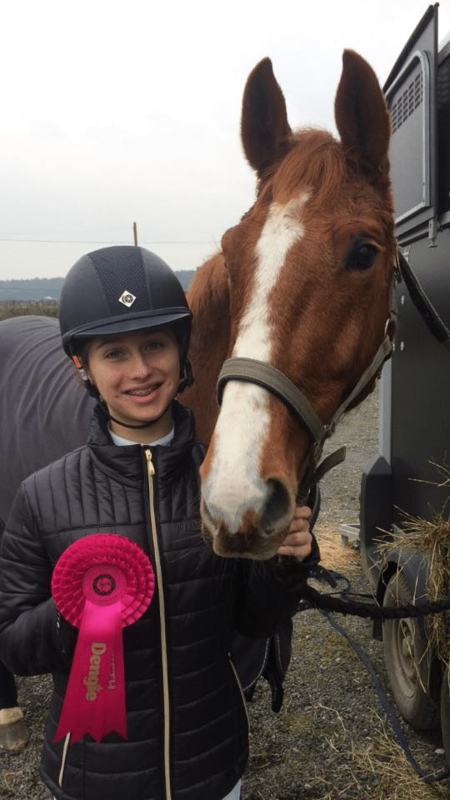 Each year Scunthorpe pony club send teams into all classes of this event, ranging through Grassroots, Novice, Intermediate and up to the Open class. Although not easy to explain in written form, the Grassroots class is designed for the First timers Novice younger rider who is just starting out in dressage and is perhaps competing at lower Prelim level in Bristish Dressage terms, the Novice class for the rider who is confidently competing at Prelim and Novice, Intermediate for the rider who working at Novice and Elementary and the open class for the parntnership who are well established in dressage. If you want to be in a team, and we hope you do, then please let Tracey know at your training session or alternatively contact Lousia Lissiak details above and the information will be communicated to Tracey. At the time of writing this piece all entry fees for the Area competition the club pay half and the member pays half. If you go out and compete and do well then tell us about it. If you email details of your achievements then we will make sure that we publish it on the website. It doesn’t have to be a National win; it may be achieving a higher percentage then usual or your experience of your first competition. 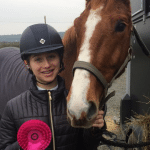 It doesn’t even have to be competing for pony club – we will celebrate your success with you! New riders are always made welcome; come and have a go, be in our teams, it will be great fun. We hope to see you at the rallies and training sessions.